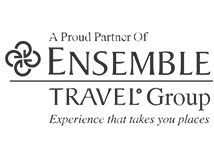 Our goal is to provide the highest quality golf instruction in a relaxed, comfortable atmosphere. Implementing this type of learning environment is paramount to each student’s success regardless of their player level. All players come in different flexibility levels, body styles, and athletic abilities therefore it is important to teach our students the fundamentals and techniques that enhance their natural ability to strike the golf ball. There are specific positions that all good players possess and it is important to identify each player’s tendency and implement the proper drills and strategies to eliminate their tendency. Consistency in the information and the delivery of that information is what makes us an instruction destination worldwide. This style of teaching system allows us to provide first class instruction in a state of the art setting and encourages our students to reach their maximum potential. The Head Instructor of the Golf Academy is Chris George, PGA, who has been ranked #1 in Virginia by Golf Digest Magazine in their 2013-2014 50 Best Teachers in America List. 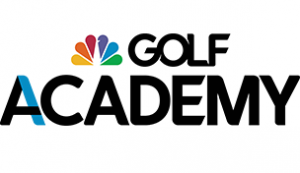 George recently was named one of the inaugural instructors of the newly formed Golf Channel Academy. He's among the first 40 of the game’s most influential and recognizable teachers coming together to establish a dedicated network of instruction facilities with the active support of Golf Channel. 2019 Golf School dates will be available soon. Please check back later for more information. Get the most out of your golf vacation with one of our stay and play packages. Stay and Play Unlimited Rounds starting at $219/person – Book Now! Enjoy unlimited golf and two nights in a 3-bedroom suite!